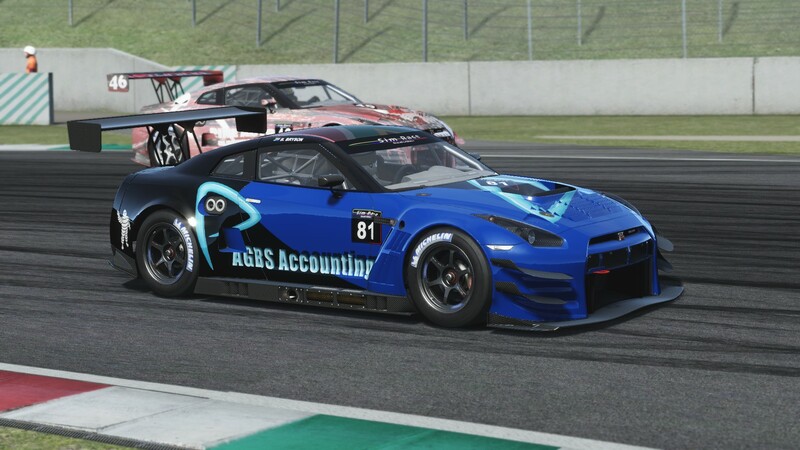 Piloting the #81 AGBS Nissan, Boyd Bryson took a SA simGT Series endurance victory at Mugello, narrowly ahead of Johannes Coetsee (#46 Rebel GhostworX Nissan and Basheer Jadwat (#83 Squadro GhostworX BMW). During the formation lap, Chris Browne (#48 Kinell Racing BMW) was forced to give up his ninth place start position after taking action to avoid contact with another car, effectively relegating him to start from 17th and last position. Bryson qualified to start the 47 lap race from third position to later pass Jason Absmeier (#90 Revlimit Racing Nissan) on lap 3. Another early pass came from the entertaining fourth position battle between Coetsee and the GT-AM Class leader Gabriel Rossouw (#25 Trigon Racing Nissan). Later on lap 5, Absmeier lost control of his Nissan at Biondetti to fall down to 14th position and after Jacques de Villiers (#25 Rebel GhostworX Nissan) found his way passed him under braking for San Danato (turn 1). Bryson too fell victim of the brutal curbs of Mugello to see him spin off at Luco (turn 3). Bryson rejoined in 11th position behind the strong recovering Browne. Bryson went on to fight was his way to the front. Jadwat’s impressive escape from the rest of the field pointed to a difference in strategy and as suspected he proved to be the first of the front runners to make a pit stop, his first of two pit stops. The other front runners decided to make use of just one pit stop to see them pit during the half way stage of the race. The relentless pace of the front five runners continued throughout the endurance race, one would be forgiven for thinking it was a sprint race. 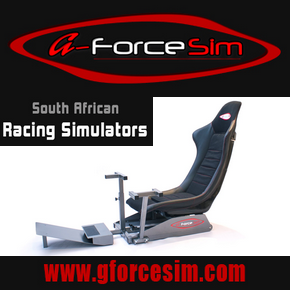 Rossouw won the GT-AM Class and finished sixth overall. 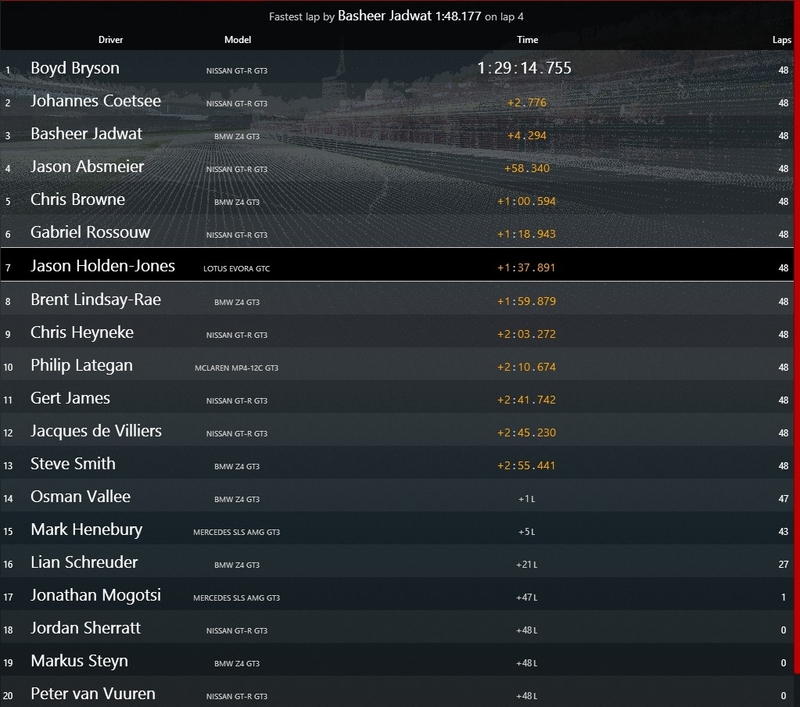 After early phase race errors by both Absmeier and Bryson as well as once the pit stop phases were completed, Coetsee found himself in the race lead with Bryson and Jadwat catching up at a significant rate. This exciting phase of the race saw a frantic but fair three way battle to first see Bryson eventually pass Coetsee and then later see Jadwat pass both of them to once again lead the race. At this stage it seemed to be going all Jadwat’s way, however it was not to be, as entering the treacherous Arriabatta II corner the lone Squadro GhostworX BMW pitched sideways to end up in the gravel trap. With three laps remaining, Jadwat returned to the track in third position. After 90 minutes and after fighting his way back from 11th postion, Bryson crossed the line to take the overall and GT-PRO Class victory just 2.7 seconds ahead of Coetsee. 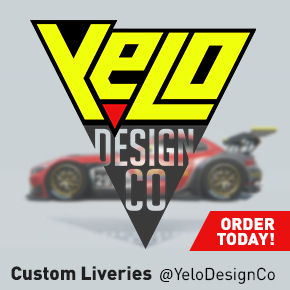 Bryson now leads the overall and GT-PRO Class Drivers’ championship with 100 points, 12 points ahead of Jadwat. Both Absmeier and Browne enjoyed impressive recovery drives to finish in fourth and fifth position respectively. In the GT-AM Class Gabriel Rossouw claimed his second class win of the season. Brent Lindsay-Rae and Gert James completed the podium. 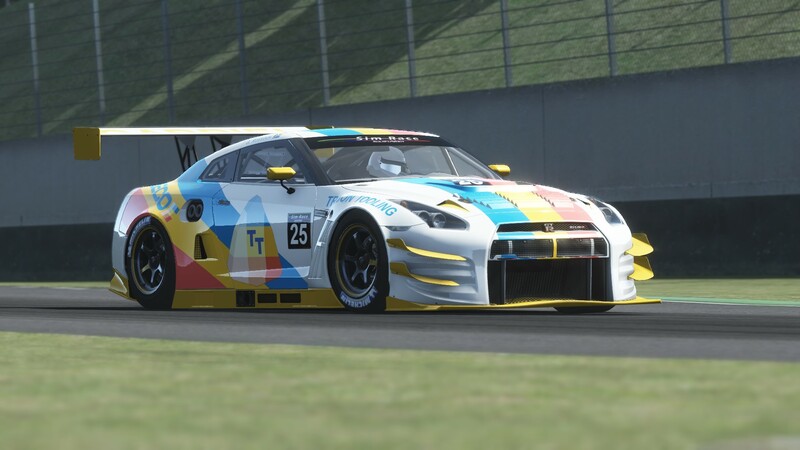 Round 5 of the SA simGT Series will take place at Imola on 20 July 2015.